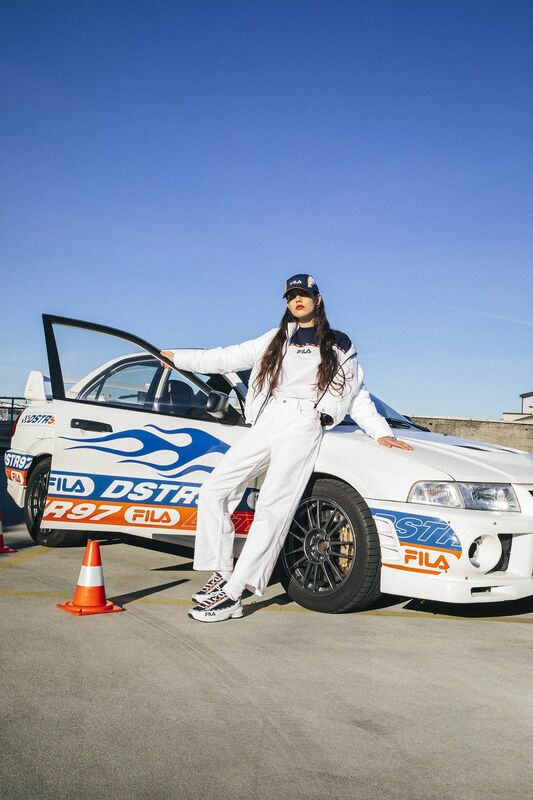 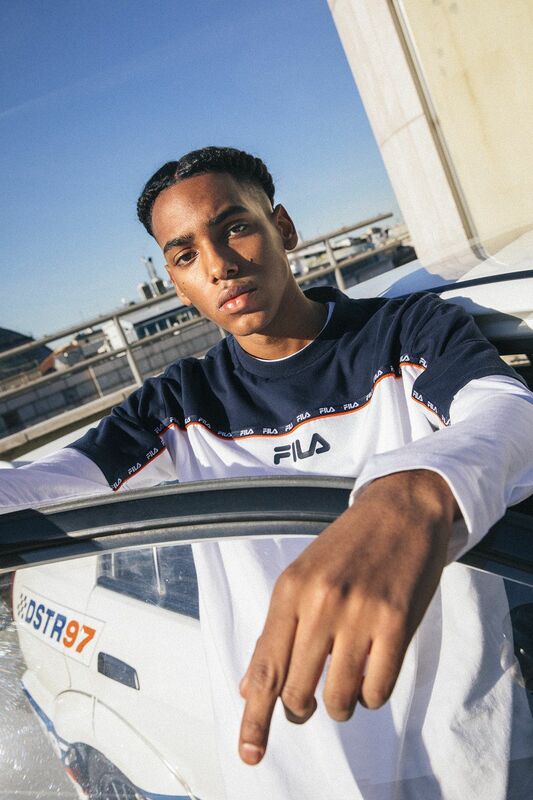 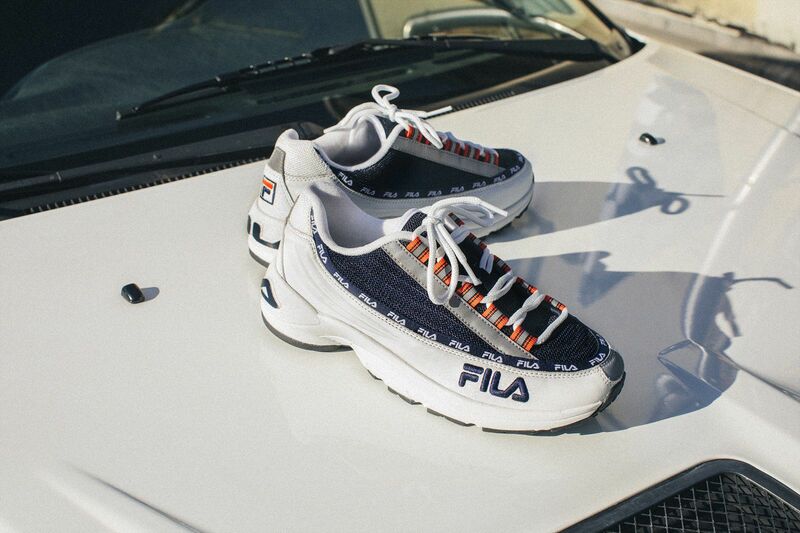 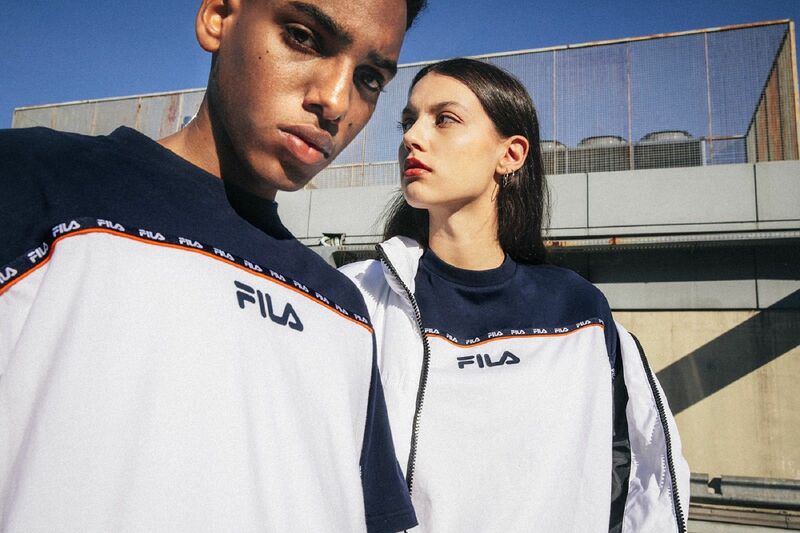 Released for the first time back in 1997, DRAGSTER ’97 aka DSTR97 was and still is one of the FILA‘s top silhouettes – a shoe that left a mark on both the ’90s aesthetic and the contemporary streetwear scene. 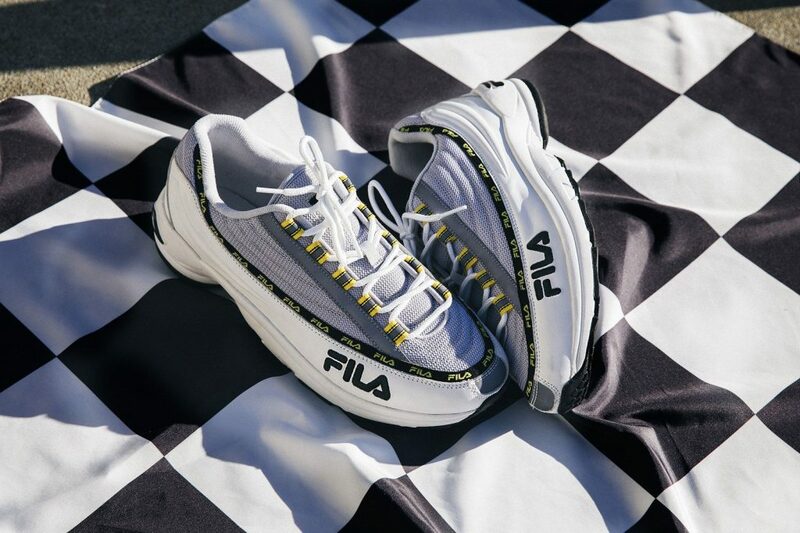 2019 sees the comeback of the DSTR97, a bold comfy sneaker and one of the first examples of the so-called dad shoe trend aka chunky sneakers. 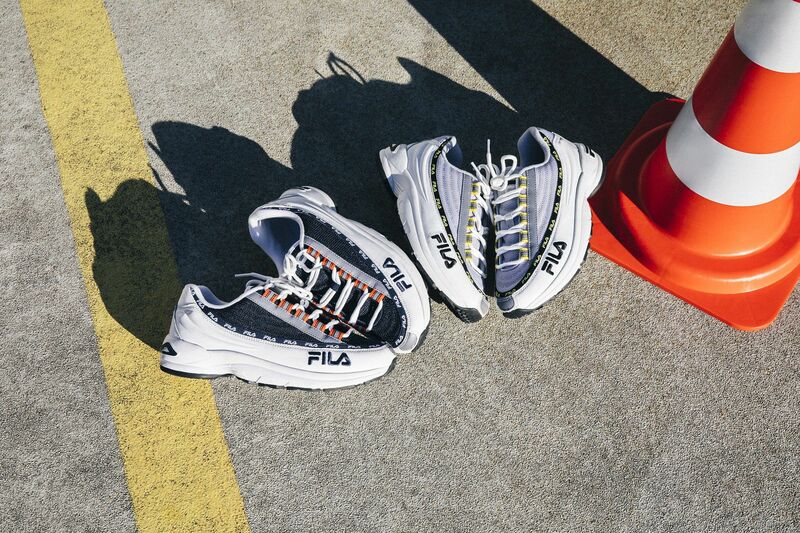 The shoe upper is dressed in leather and mesh, sitting on a thick sole, with the FILA logo on the heel and side panels. 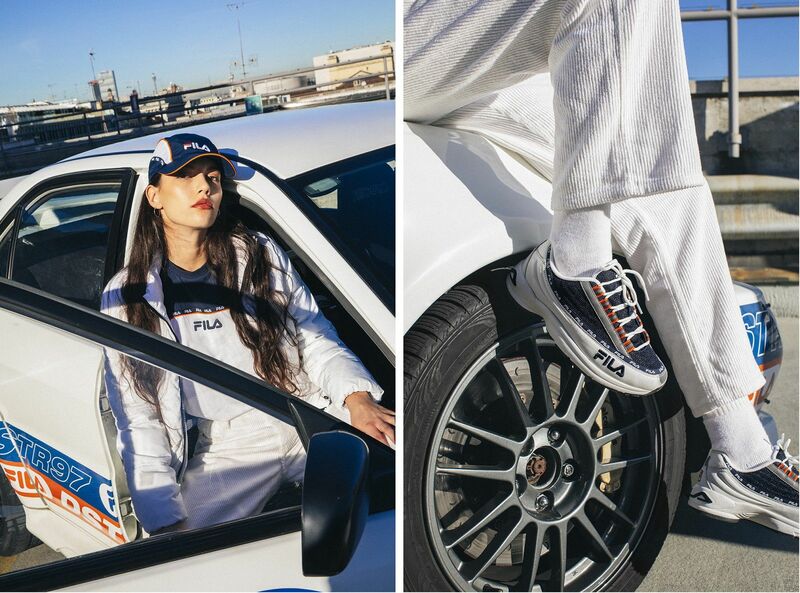 The retro will release in two colorways – white/navy and white/gray/violet. 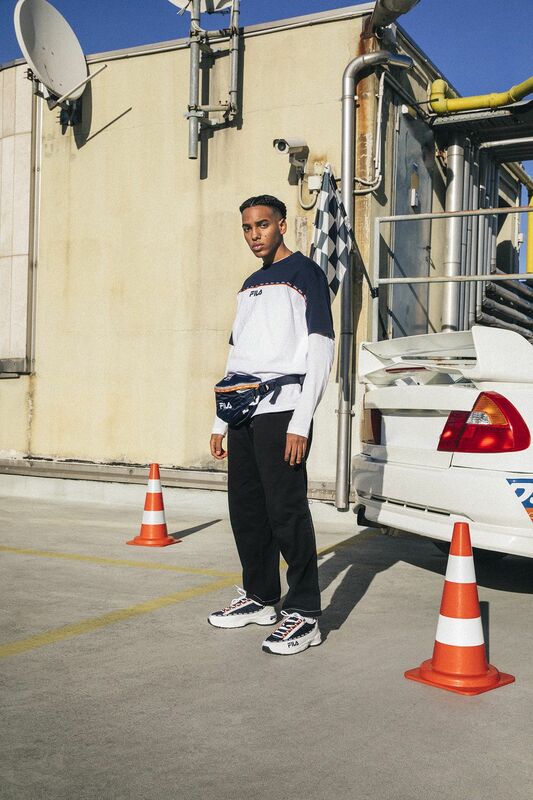 Along with the sneakers, the brand designed a capsule collection consisting of a cap, one t-shirt and a waist bag.